Varicose veins are painful and swollen veins that bulge out near the surface of your skin.These are blue or purple in colour and can possibly show up anywhere on the body, as they can be hereditary in some people. This happens to women more than men – being overweight, carrying twins, or even standing for longer periods. Some women develop the most painful varicose veins around their pregnancy due to the circulatory changes. However, the varicose veins tend to improve right after giving birth. Stay within the recommended weight range suggested by your doctor during pregnancy. Avoid wearing heels to avoid irregular blood circulation on your legs. Wear flats or flat shoes which are more comfortable, as this helps your calf muscles by not putting pressure on them in order to fostering healthy circulation. Avoid standing or sitting in the same position for longer durations. Keep changing your position and take frequent breaks from whatever you are doing. Exercise daily as it helps in good flow of blood circulation. Check with your doctor as to what all exercises are safe and helpful for you during pregnancy and especially for your condition. Rest your legs on a stool when you are sitting, and elevate them with the help of pillows when you are lying down. 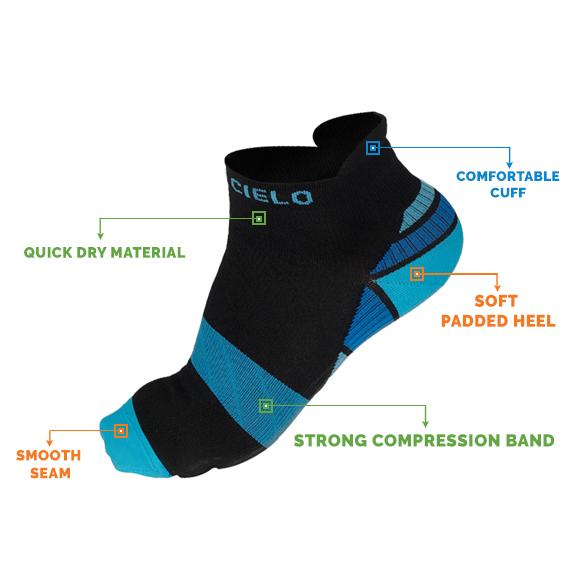 It is important to elevate your feet or legs to the level of your heart or even higher if possible. Avoid crossing your ankles or legs while sitting. 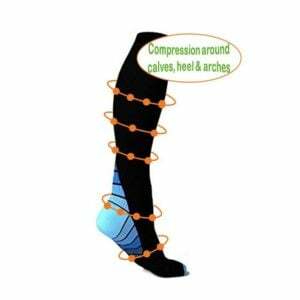 You may want to wear copper compression socks which help to promote good blood circulation from the legs to go back up to your heart and reduce the painful varicose veins, swelling and aching, during pregnancy. 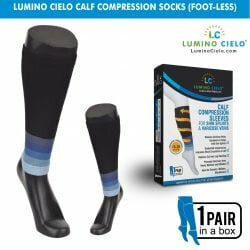 Try out the Lumino Cielo’s copper compression socks that are made of copper infused fibres that controls feet odour and eliminates 99.9% of bacteria and fungi. 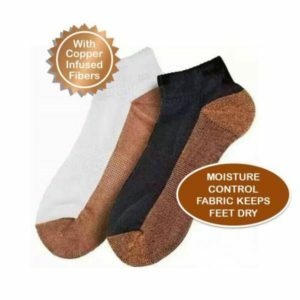 Continue wearing them even after giving birth, as it takes time to subside in some women post pregnancy and in some cases the varicose veins reduce naturally right after giving birth.